Philosophy is the history of philosophy. That’s how Georg Wilhelm Friedrich Hegel put it, and in the middle of the Nineteenth Century the Imperial-Royal Austrian Army thoroughly agreed with Hegel’s view of historicism. War, in this case, could only be understood through study of the history of warfare. Said study would yield concrete examples from the historical past which then could be successfully imitated in the present. That mindset led to Austrian victories at places like Aspern in 1809 (modeled on Prince Eugene’s victory at Zenta in 1697) and the Second Battle of Custoza in 1866 (based on the First Battle of Custoza in 1848). When presented with a problem that could be explained by historical precedent, Austrian commanders and staff usually performed well. When faced with an innovative opponent – as in most of their encounters with Napoleon - they usually had a much more difficult time understanding the situation and reacting. That’s the essential argument made in my doctoral dissertation, which is based on the connection between the two battles of Custoza. It’s based on more than coincidence: Joseph Freiherr Maroicic von Madonna del Monte, an aide to Marshal Josef Graf Radetzky at First Custoza commander of the Austrian VII Corps at Second Custoza, pretty much wrote it down, in the marginalia of his copy of the army’s official history of the 1848 battle. 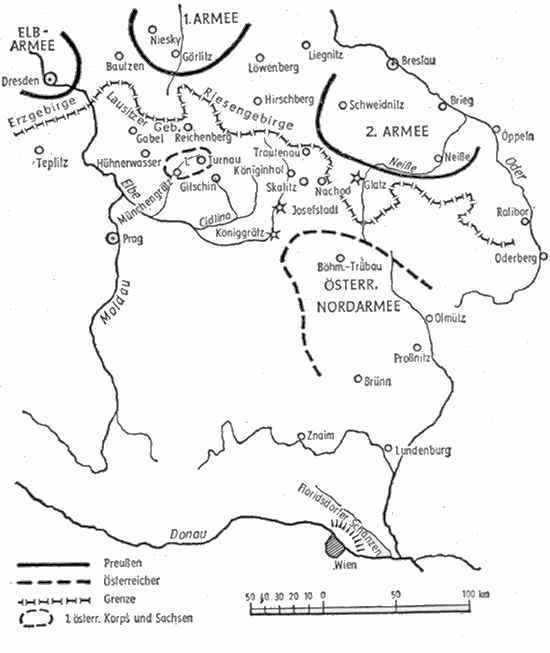 The 1866 Austro-Prussian War took place on two major fronts, in northern Italy where the Austrians faced an Italian invasion, and in Bohemia where they met a Prussian onslaught. In both cases, they turned to historical precedent to determine their strategy. Gideon Ritter von Krismanic, a professor from the War College, served as operations chief to Ludwig von Benedek, commander of Austria’s North Army. 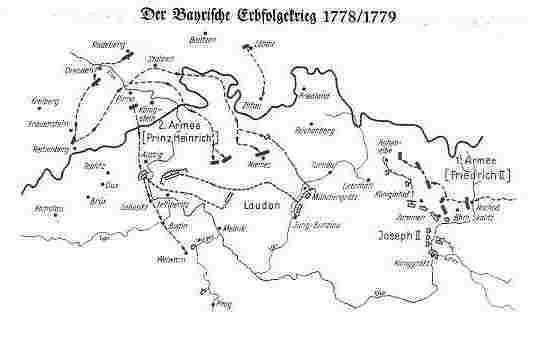 North Army would have to face the Prussians in northern Bohemia, and the army’s inspector-general, the deeply-read historicist Archduke Albrecht, had selected Krismanic specifically because of his expertise in the history of the 1778 War of the Bavarian Succession, the so-called Potato War – the last time Austria and Prussia had gone to war. 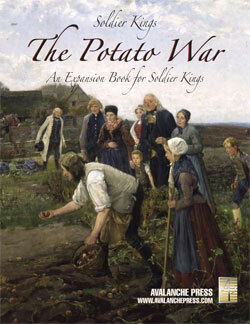 Krismanic gave Benedek a 70-page assessment of the Potato War and its bearing on the new war with Prussia. There are only so many routes from Prussian territory into Bohemia, thanks to the mountains that ring the province’s northern and north-eastern borders. A Prussian invader would have to either split his forces to come into Bohemia through the widely-separated passes, or concentrate on one route and allow the Austrians free passage through the other toward Berlin or into the valuable province of Silesia. The theater of war in 1778. Therefore, Krismanic advocated the same strategy as that laid out by Franz Moritz Graf von Lacy for the Potato War: stand on the defensive between the two invasion routes and force the Prussians to attack almost all of Austria’s army with only half of theirs. The strategy worked; Austria did not win the Potato War, but neither was she defeated. And she came away having achieved at least some of her goals. Krismanic left out one of the most important parts. Even at the time, the commander of the Austrian force facing the Prussians on the north-western flank, Ernst Gideon von Laudon, advocated using that central position to gather all Austrian forces and fall on the first Prussian army to emerge from the passes. Lacy and the titular commander-in-chief, Kaiser Joseph II, stood pat instead. Almost all of Benedek’s corps commanders (except the comatose Eduard von Clam-Gallas) pressed for the Laudon solution, but like Joseph, Benedek stood pat at Königgrätz and was defeated. Times had changed since the Potato War, the last of the so-called “Cabinet” or “Lace” Wars. The railroad and telegraph allowed Prussia to move, feed and control huge armies. They were not going to run out of rations and start digging up potato fields rather than press their attack. Likewise, Austria could do the same with her own huge army, which presented less of an incentive to stand purely on the defensive. This time, historicism brought defeat. To truly understand the Austro-Prussian War, therefore, it’s also necessary to understand the Potato War. So as part of my immersion in all things Austro-Prussian, I became deeply read (actually deeply read, not internet-buffoon “deeply read”) on the subject of the Potato War, though mostly through secondary sources. I’ve always wanted to put such useless and arcane knowledge to actual use, so I couldn’t pass up the opportunity to craft a Soldier Kings supplement based on the Potato War. Plus I also simply like the name “Potato War.” The Potato War was not a world war, or even one involving very much of Europe (but since the diplomats called for help from other powers, or tried to inhibit such calls, those other countries need to be in play to make the threat a real one). Like the Seven Years’ War and War of the Austrian Succession before it, the Potato War was fought in parallel to the unending colonial conflict between France and Britain, at this time flaring as the American War. None of the continental powers (France, Austria, Prussia) willingly went to war unless they could be assured that they would only have to face one enemy. Soldier Kings works fine to re-create the next generation’s war; there’s a need for some new leader pieces and a few new armies, but the map of Europe hasn’t changed in any appreciable way (though the Ottoman Sultan might not agree with that assessment). The Potato War marked the last conflict of the enlightened warlords, but it planted the seed for a new type of warfare.